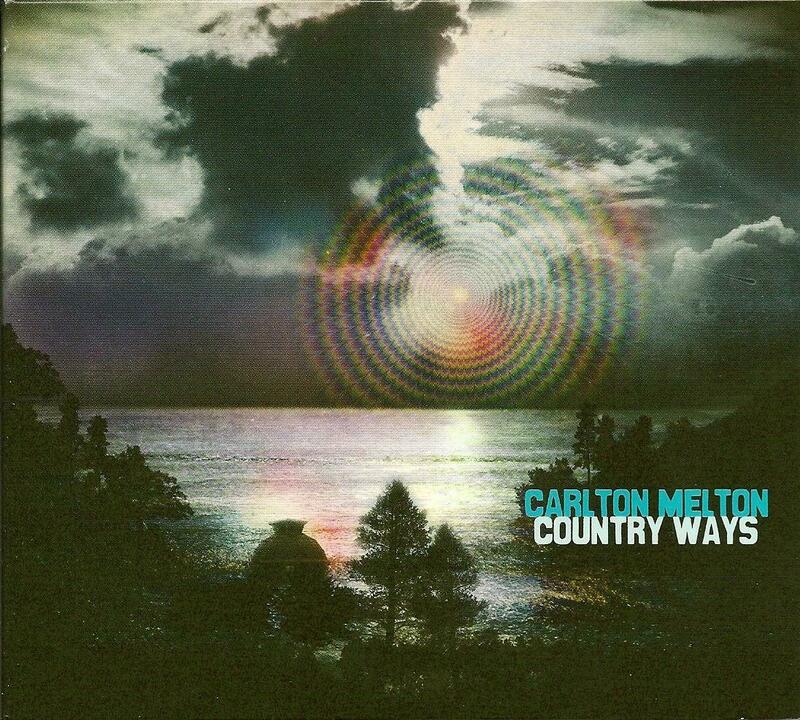 Carlton Melton - "Country Ways"
Like their last release, there is a vinyl version on the band's own label Mid-To-Late and the CD version on Agitated with bonus tracks. The vinyl is nice to have as it's a heavy (180gm?) record graced with multi-colored tie-dye bespeckling... but if you had to choose one, I must recommend the CD, as the "bonus" tracks are absolutely essential and equal to the main tracks in every way. The disc kicks off with the 20-minute title track and here I'm compelled to say that getting into the live lo-fi unedited improv jams of guitar-drums-bass-keyboards combo Carlton Melton is kind of analogous to acclimating to a cold body of water. Things may seem a little murky or awkward at first, but once you've been dragged out a ways and into the depths, things warm up and you are in their world and its steady calming rhythmic drift... a comfy place to be. After a few more listens I've decided that this side-long title-track is not overly extended. I dig the melodic picking in the second passage, and then the flow into a mellow jam with spaced-out keyboards and then the shift into a new riff, and the closing brings on some power-chords and heightened intensity to the keyboard lines. Harrington Fair is a mere 5.5 minutes but I love the new wrinkle of the country-blues lead-picking and the riff it morphs into (over the ever-constant cosmic pulsing of course)... dunno if it's guitarist Andy or Rich, but this is a very welcome surprise! Though it would have actually been cool to hear that last riff extended a bit longer. Concluding the vinyl segment, Use Your Words is a good title for an instrumental... nice wah-pickery. One of two quality bonus tracks is the 14-minute The One That Got Away (extended version), beginning with beautiful cosmic dRIFFt, bringing in a steady proliferation of synth effects, introducing a second guitar that reminisces upon a riff from the last album. Things get heavy with some more bluesy leads... the drummer Brian does a good job of shifting around when needed as this track gets pretty busy, comparatively... yeah, so the drum sound is a little flimsy on their recordings, but again - acclimate! (Though it'd be nice to hear the sound and mix clean up just a tad.) And BEHOLD! - this last track "March Of the Cicadas" was recorded live on KZSU and the sound IS tighter (hope they continue to venture beyond the comfort zone of the "Dome"). Andy switches over to drums for a slow steady groove, Clinton Golden rumbles along on bass and Rich constructs a wickedly searing guitar lead (whilst handling the synth as well) and with tons of SLIDE to boot... superb!